Fr. Gerald Lynn Bunse, 67, of Farmersville died 7:27 a.m. Wednesday Feb. 6, 2019 at the St. Joseph’s Home in Springfield. He was born Nov. 22, 1951 in Alton, to the late Raymond and Wanda (Ulery) Bunse. He was ordained as a Priest in May 28, 1983. He enjoyed NASCAR. St Aloysius, North Arm; St. Boniface, Edwardsville, Pastor: St. Mary, Paris; St. Aloysius, North Arm; Assumption of the Blessed Virgin Mary, Assumption; St. Francis DeSales, Moweaqua; St. Stanislaus, Macon; St. Mary Farmersville; St. Patrick, Girard; St. Mary, Edwardsville, Chaplain: Jacksonville Correctional Center, Jacksonville, Parochial Administrator and Pastor: St. Mary, Farmersville; St. Maurice, Morrisonville; St. Raymond, Raymond, Pastor Emeritus and Senior Priest: St. Mary, Farmersville; St. Maurice, Morrisonville; St. Raymond, Raymond. He is survived by two sisters, Barbara Bunse of Jerseyville and Carol Bunse of Godfrey; a brother, Mike and his wife, Mary Bunse of Glen Carbon; two nephews, Michael Bunse and Andy Bunse, both of Glen Carbon; two aunts, and numerous cousins. He was preceded in death by his parents, and his sister Theresa Bunse in 2012 . Visitation will be Tuesday Feb. 12, 2019 from 4 to 7 p.m. at St. Maurice Catholic Church at 706 E. 4th St. in Morrisonville where a prayer service will be held at 3:30p.m. with Deacon Patrick O’Toole officiating. A Mass of Christian Burial will take place at 10 a.m. Wednesday Feb. 13, 2019 at St. Mary’s Catholic Church at 310 Nobbie St. in Farmersville, with The Most Reverend, Bishop Thomas John Paprocki, Bishop of the Diocese of Springfield in Illinois. A Luncheon will be held at Noon on Wednesday Feb. 13, 2019 at the St. Raymond K of C Hall at 510 E. Sparks in Raymond. 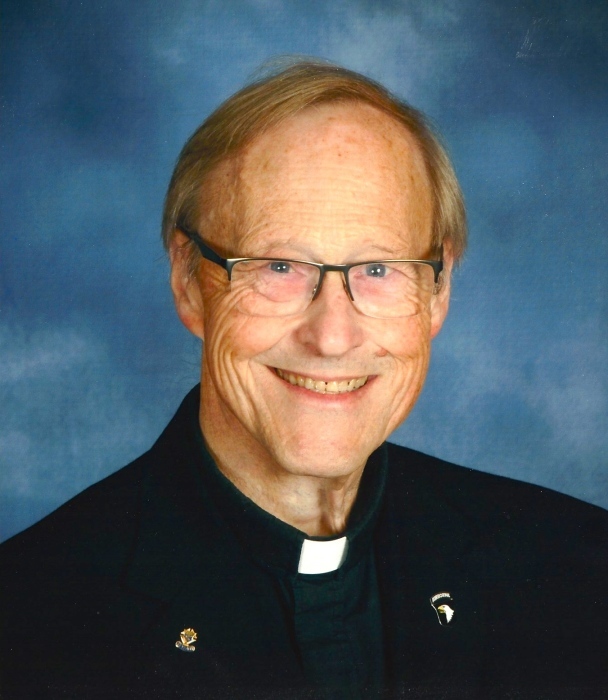 Visitation will be Thursday Feb. 14, 2019 from 10 to 11 a.m. At St. Mary’s Catholic Church in Fieldon, IL where a prayer service will be held at 11:00 a.m. with Fr. Steve Pohlman officiating. Burial will follow at the St. Mary Catholic Cemetery in Fieldon, IL. Memorials may be given to the St. Joseph’s Home in Springfield or to Masses.